Starting up a farm from scratch is a lot of work. That said, many have done it successfully. I’d like to share two thoughts that may speed the process along in a good direction. One of the first and biggest tasks is getting access to good farmland. If you don’t already have land, I recommend leasing land at first to develop your business without the pressure of a large mortgage. Leasing land for 5 years (or longer) allows you to control your resource base without a lot of upfront cost. Good land can get leased for $50-100 per acre, or sometimes for free. Some land may need more work than other parcels (e.g. building fertility, clearing rocks or shrubs) and some may or may not need infrastructure like water, shelter, or electricity. With a five year or longer lease, your investment in the land is spread out and allows your business to be lean and flexible. You are free from the yoke of large mortgage payments each and every month. Indeed, you can deduct lease payments as a business expense, but not land payments (only the interest portion of the mortgage payment). You can live on the land, or live nearby, depending on the situation. I’m not against owning land, but it is not a necessity. If you do decide to eventually purchase property, it is far easier to get financing if you already have a successful farm business to support the mortgage. 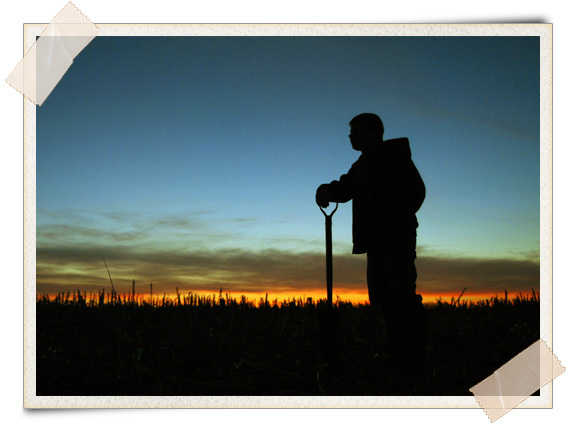 The second recommendation as you begin your farm venture is to make time to manage the business. Good farm managers are behind every successful farm. Be as efficient as possible in every aspect of your farm. For example, plan your marketing efforts before planting a single seed. Where, how, and what quantity will you sell the farm product? Planting an acre of lettuce without a potential buyer can be a recipe for disaster: you may end up selling the crop at fire sale prices or worse, tilling it in altogether. Granted, you may sell every last head of lettuce, but it sure is easier if you have an inkling of where you hope to sell it. When breaking into a new marketplace, I usually start knocking on the back doors of stores and restaurants and ask if they would be interested in say, some lettuce next June. Do they already have a local supplier? I avoid stepping on other local growers toes. We all need to cooperate as much as we can. If there isn’t a local supplier, I ask questions like,” How much do you use each week? What kind do you like? What is the customary price?” Start developing a relationship with your possible customers. Try to get a handshake agreement for the upcoming season. Then, in season, before the crop is ready, touch base with the customers, letting them know the crop will be ready soon. Set up an agreeable ordering schedule, and then deliver your finest product. The above scenario outlines a possible wholesale account relationship. CSAs, Farmers’ Markets and farm stands are other marketing options, but may be harder to pull off profitably as a start up farm. Vegetable farmers by naure tend to like diversity. Experimenting and trying new varieties are part of the attraction. Many seasoned vegetable farmers started by outgrowing their diverse garden plot. But with diversity comes complexity, and possibly less efficiency. Growing 2 acres of winter squash for one wholesale account is much simpler than growing 2 acres of 40 crops, with multiple plantings and harvests sold through a CSA or Farmers’ Market. The payout is probably less on the winter squash, but as a way to get the ball rolling, it will be far easier.  And it is not like I’m against Farmers’ Markets or CSAs: I’ve been going to Farmers Market for the last 29 years and had a CSA for 6 years. I know firsthand their complexity and costs. The tendency for beginning farmers is to try to do too much all at once. Start small, farm smart and build your farm business. 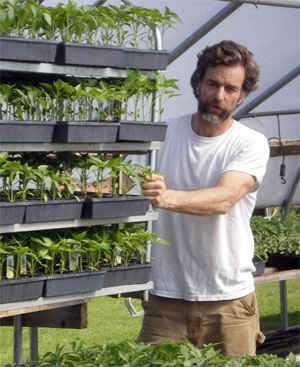 About the Author: Richard Wiswall is the owner of Cate Farm, a family owned and operated organic farm in Central Vermont. He and Sally Colman and family cultivate 22 acres and seven 100-foot long greenhouses of organic vegetables, medicinal herbs, and flowers. Everything they sell is certified organic and always their own. From his thirty years of experience at Cate Farm in Vermont, Wiswall knows firsthand the joys of starting and operating an organic farm—as well as the challenges of making a living from one. Also, check out his new book, The Organic Farmer’s Business Handbook, where he shares advice on how to make your vegetable production more efficient, better manage your employees and finances, and turn a profit. This is a valuable book for any beginning or seasoned farmer! I have had a hard time tracking down legitimate websites or resources listing arable land for lease or for sale. Where are they?